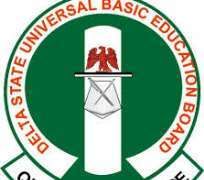 The Delta State Executive Chairman of the State Universal Basic Education Board, Hon. Sunny Ogwu, said the just concluded 21st Quarterly Meeting of UBEC Management with Executive Chairmen of State Universal Basic Education Boards held at Uyo, Akwa Ibom State was to chart a course for a functional basic education in Nigeria. The 21st Quarterly Meeting with the theme: “Consolidating Basic Education Through Effective Strategic Planning, Resuscitation of Agriculture and Quality Assurance”, ended recently. Hon. Sunny Ogwu who led delegates from Delta State to attend the 21st Quarterly meeting of UBEC Management with Executive Chairmen of SUBEB from across the 36 States of the Federation, said that the 2-days meeting had robust discussions and inputs from stakeholders aimed at enhancing the standard of education in the country. He disclosed that the state Universal Basic Education Board presented its report on the efficient and judicious utilization of the 2015/2016 counterpart funds for the execution of school projects across the state, adding that the quarterly meeting of UBEC/SUBEB management is a platform to cross pollinates progressive ideas on how to advance basic education in the country. The SUBEB boss while commending the state Governor, Senator Dr. Ifeanyi Okowa for pursuing peoples’ oriented programmes, said the Governor’s giant strides in promoting quality education in the state was the right step towards the right direction and expressed optimism that the state will take the lead in education in the country. Hon. Ogwu who called for the cooperation and support of all stakeholders including staff of SUBEB, Local Education Authority’s Secretaries and teachers, charged contractors handling various projects under the 2017 UBEC/SUBEB intervention funds to maintain quality and standard.